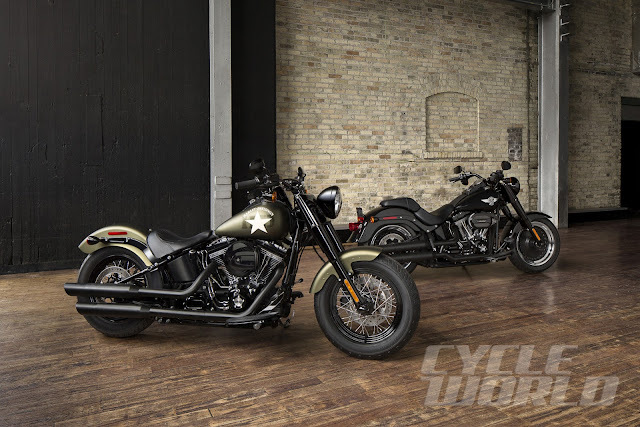 We just got word from Milwaukee about the 2016 Harley-Davidson lineup, which includes updated Iron 883 and Forty-Eight Dark Custom Sportsters, new S Series Cruisers with Twin Cam 110s, and an all-new Road Glide Ultra. 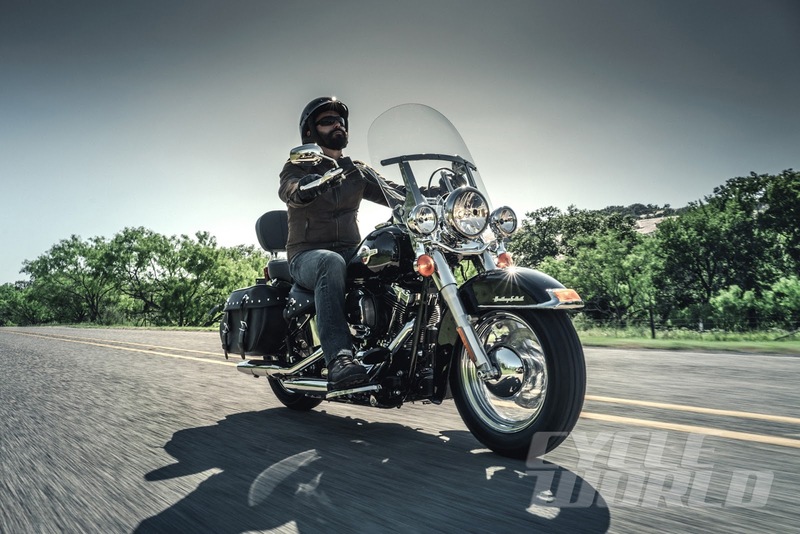 “This one of the broadest lineups we’ve ever introduced in a single model year,” says Mark-Hans Richer, Harley’s Senior Vice President and Chief Marketing Officer. “There isn’t really a cruiser that we haven’t improved in some way through style, power, or accessibility.” Here’s a look at some of the new 2016 Harley-Davidson motorcycles. 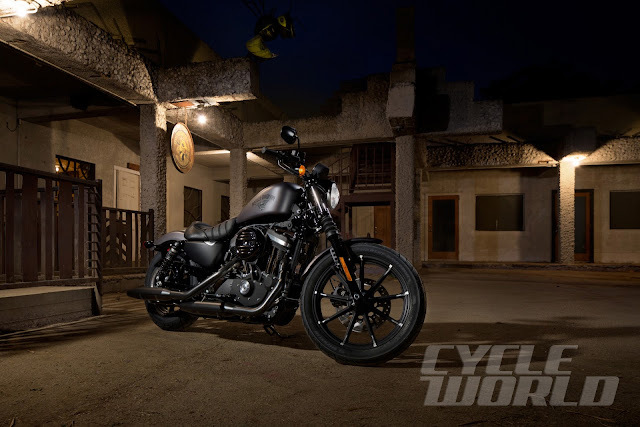 First, a few words about all new 2016 Sportsters: They are equipped with new front and rear suspension, plus a more comfortable and supportive seat that has a higher quality cover. New nitrogen-charged shock absorbers are said to offer improved damping in compression and rebound. Featuring internal valve stacks with 36mm pistons and upgraded oil, the shocks are designed work well over small bumps, helping keep the Sportster’s rear tire in contact with the road on uneven surfaces. An under-seat wrench is provided to adjust spring-preload via threaded collars on the new shocks. As for the new cartridge fork, it has progressive-rate springs and is designed to provide a consistent feel throughout compression and extension. 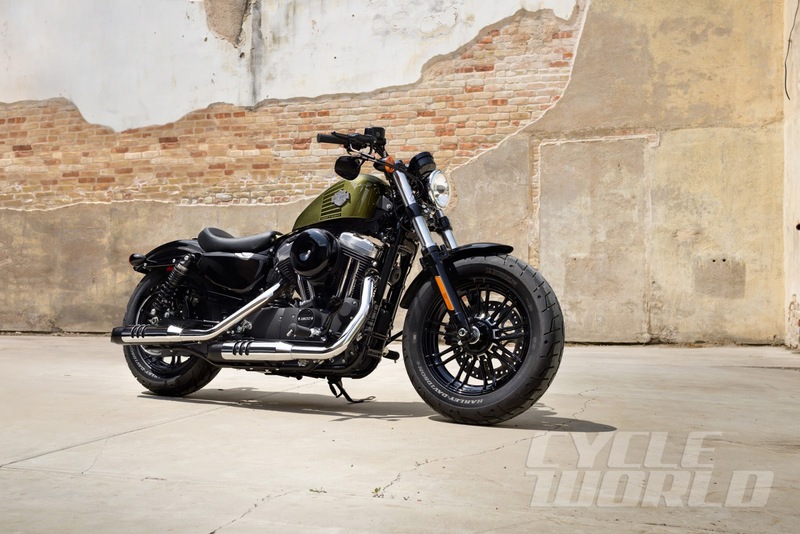 The springs are triple-rate units, and together with what Harley calls “oil lock,” they are said to help the new 2016 Sportster resist wheel hop under hard braking. Harley says the new Iron 883 is purposefully raw and rough, boasting a look that’s inspired by garage-built bobbers of the past and present. 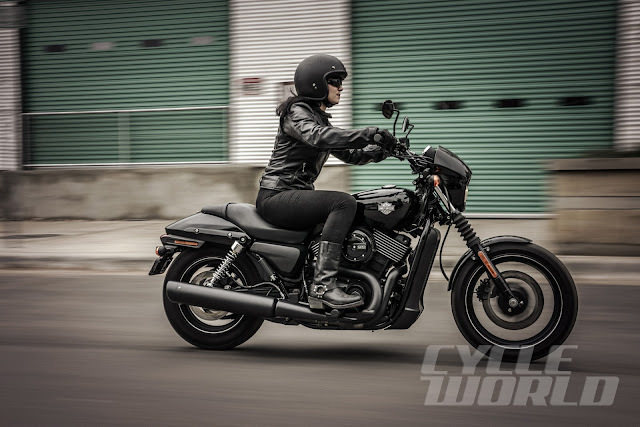 Thanks to its upgraded suspension, lightweight cast wheels, and comfortable seat, the Dark Custom Sportster will likely stay on Harley’s best-seller list for 2016. The Big News for these S series limited-edition cruisers? The 2016 Fat Boy S and 2016 Softail Slim get the Screamin’ Eagle Twin Cam 110 engine. 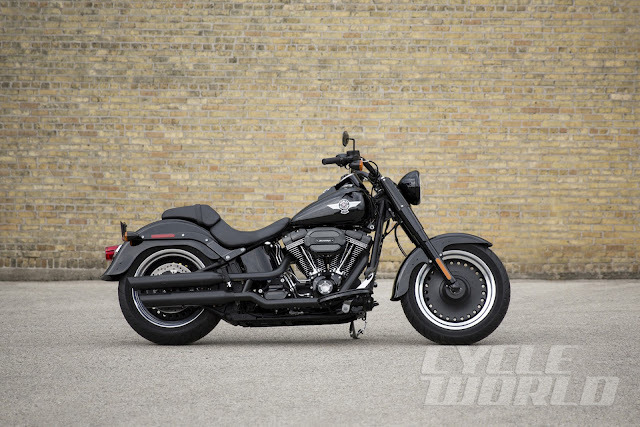 As such, Harley says these new 2016 cruisers, which have an updated “dark” look, will deliver the extra engine performance that was once the exclusive domain of the CVO (Custom Vehicle Operations) models. One of our favorites is the Softail Slim S in Olive Gold Denim, which has a modern military-inspired look that pays homage to post-war customs that launched the bobber movement. Electronic cruise control, enabled by new electronic throttle control, is standard equipment on the 2016 Fat Boy S and Softail Slim S.
After a two-year absence from Harley’s Touring Line, the Road Glide Ultra returns for 2016 with enhanced style, better aerodynamics, and improved long-distance ergonomics for rider and passenger. 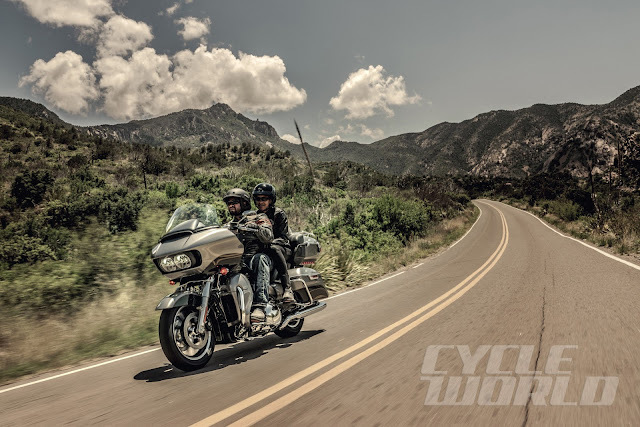 Put another way, the 2016 Road Glide Ultra has now benefited from the customer-driven Project Rushmore effort. The engine in the 2016 Road Glide Ultra is the Twin-Cooled High Output Twin Cam 103, the liquid-cooling on which boosts power and torque and shedding engine heat away from the rider and passenger. The frame-mounted fairing (with Daymaker LED headlight) is new. Lastly, we have the 2016 Heritage Softail Classic, which combines a healthy dose of nostalgic style with smooth counterbalanced Softail performance. 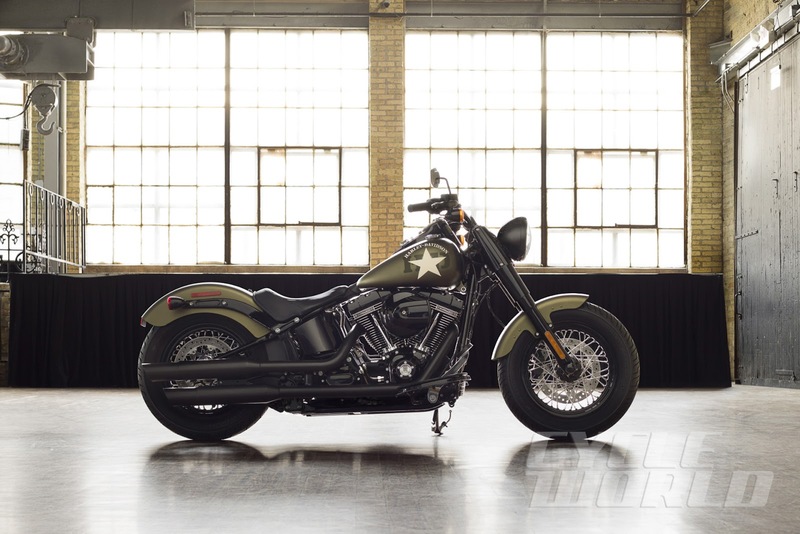 In addition to its styling refresh, the 2016 Heritage Softail Classic gets the High Output Twin Cam 103 engine. Completing the major improvements are standard electronic cruise control and a stronger support structure for the soft saddlebags. —The 2016 Street 750 and Street 500 models, in response to customer feedback, have been upgraded with improved brakes, developed in conjunction with Brembo, said to offer more of a confidence-inspiring feel. From our experience testing, this was a much-needed upgrade. —The High Output Twin Cam 103 is now standard in all 2016 Dyna models except the Street Bob. —For the first time, electronic cruise control is available on all Softails.